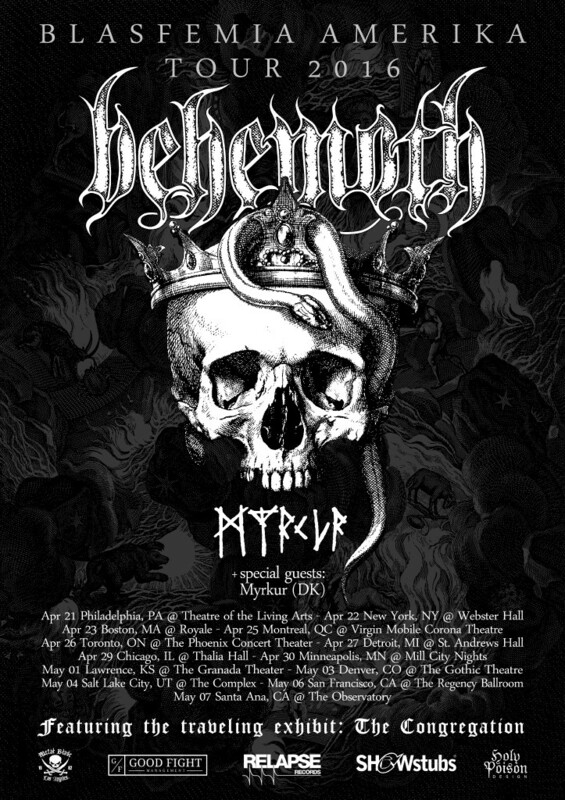 Polish death/black metal outfit, BEHEMOTH, has announced their return to North America this Spring with a special tour, featuring support from Myrkur. 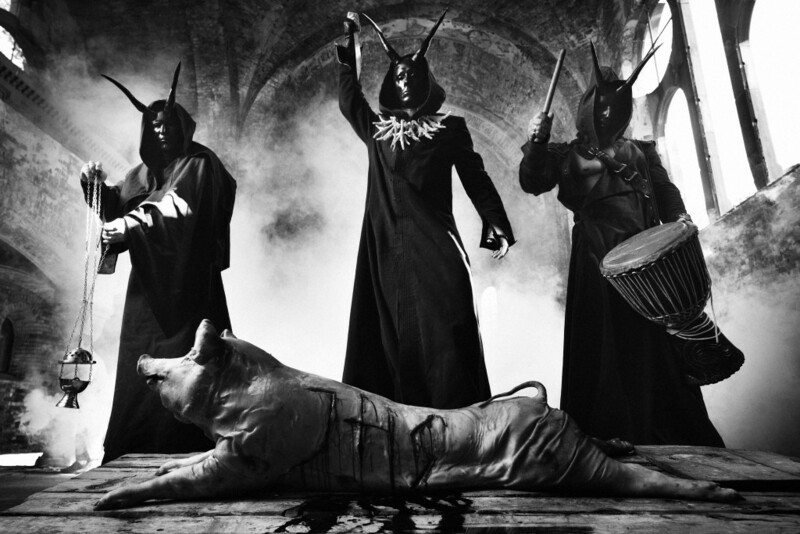 With plans to play their latest album, The Satanist, in its entirety, the journey – which runs from April 21st through May 7th – is one not to be missed! A limited number of premium ticketing packages which include a commemorative laminate, meet & greet session with the band, an 18″ x 24″ poster set (three posters), 42″ x 42″ wall flag, and general admission ticket are available now at showstubs.com/behemoth. Only fifty fans per show can purchase the package, so reserve yours now! 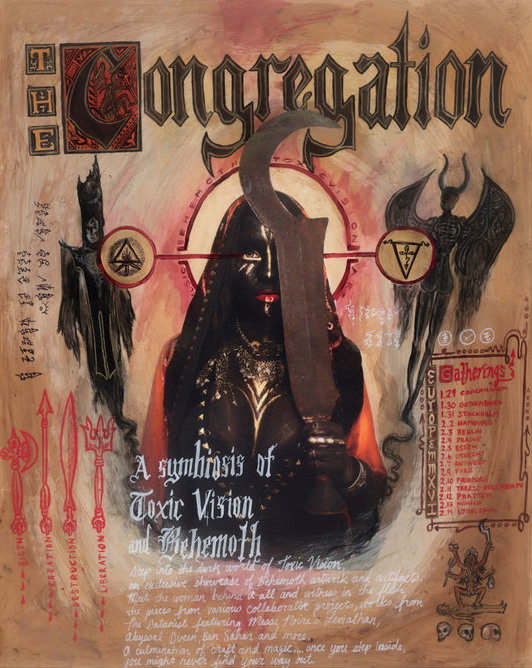 In addition to the concert, fans will also have the chance to view “The Congregation” exhibition at each venue. Dubbed, “a symbiosis of BEHEMOTH and Toxic Vision,” the display showcases the collaboration between the two parties. Over the years, the artist behind Toxic Vision (Sharon Toxic) has worked closely with the band to create their stage outfits, music videos, stage/photo props and more. “The Congregation” is a new experience and built solely for this tour. Declared, “simply the best BEHEMOTH record ever,” by Decibel Magazine, The Satanist was released earlier last year to critical acclaim, debuting at #34 on the Billboard Top 200 charts. To preview the album, watch the band’s latest video for the title track at THIS LOCATION.